Reports indicate that Apple and Goldman Sachs are partnering with a view to jointly unveiling a credit. This will be the first time that Goldman Sachs will be entering the plastic payments space. The move will also expand the footprint of Apple in the payments sector. According to the reports one of the features of the card will be Apple Pay, the payments platform of the iPhone maker. The card could be launched next year. 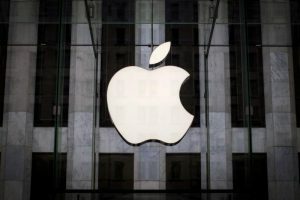 The cooperation between Apple and Goldman Sachs comes as the Cupertino, California-based tech firm makes preparation end a partnership it has had with Barclays PLC. In the partnership between Barclays and Apple a card which is jointly offered comes with gift cards from the iPhone maker and 0% financing on Apple’s products. The deal between Apple and Goldman will offer the two companies an opportunity to offset weaknesses that plague their core businesses. In the case of Apple the plastic card will provide an opportunity to concentrate on services such as mobile payments which could boost earnings especially now when the growth in sales with regards to iPhones has not been consistently robust. So far the number of customers who are using Apple Pay has been fewer than expected. The card is thus likely to increase Apple Pay adoption as well as assist Apple in garnering higher transactions fees when the credit card is used to make purchases. It is understood that a digital wallet payment made via an iPhone generates a transaction revenue of 0.1% for the tech giant irrespective of the card that it is linked to. Under the new deal this figure would be increased by double the amount and thus would assist in raising the services business revenue of Apple to reach a figure of $50 billion in the next two years. In 2016 revenues generated from the services business reached a figure of $24.4 billion. Goldman Sachs on the other hand would benefit by having its retail-banking business which was unveiled two years ago boosted. Currently the Wall Street firm is grappling with weaknesses in its securities trading unit. Additionally Apple Pay cardholders could also become customers of other banking products that the investment bank has to offer. For instance in-store Apple customers would be eligible for loans offered by Goldman to cover their purchases. Goldman Sachs would also benefit from strengthening its ties with Apple. The investment bank has previously been instrumental in the fundraising efforts of Apple.